Like many financial products, buying over 50 life insurance is one of those purchases that should be simple, yet somehow it can seem off-puttingly complicated. There’s no way around it, the buyer has to do due diligence, which means reading the fine print to avoid falling foul of conditions and exclusions. But if you’re prepared to do the reading, with these tips it will be possible to obtain a policy that brings you peace of mind and alleviates anxiety for your loved ones. Be aware that once you start paying in to an over 50 life insurance policy, most of the time you won’t be able to get the contributions back if you decide, perhaps two years in, that it’s not for you. So make sure it is the policy that best serves your needs before signing on the dotted line. The expected payout on the policy may appear to be generous when you agree to it, but inflation will eat away at that fixed sum. If inflation is particularly aggressive, the payout could effectively decrease over time. It’s possible to buy a policy that is linked to inflation, but the premiums you are required to pay will almost invariably increase with the rate of inflation. It’s a personal thing, but some people prefer to know exactly where their plan is headed and choose to stay on top of adjustments such as inflation and take care of them as they occur. People reading this who have already bought over 50 life insurance may be thinking the deal they have chosen is not that great. Don’t do anything rash – if you cease making payments now, you could lose everything you’ve put into the policy so far. Do your sums and work out how much more you think you will need to pay into it to make the payout happen, against what it will return. Read your fine print and, if necessary, consider adding an additional, better policy to make up the short fall. As this report from The Guardia states, the main reason for buying life insurance is to take care of the mortgage for your dependants if you die suddenly. If you don’t have any dependants, then it may not be quite as critical. In the end, the greatest benefit from taking out life insurance comes from knowing that a plan is in place. The important thing is to check thoroughly before making any commitment, so that there are no surprises. For many over 50s, the simplicity of these policies is the most attractive thing about them and the merits of it as an investment are of less significance. 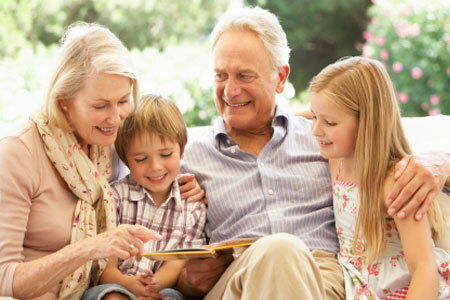 Knowing what you want and what will make you happiest is crucial when looking at life insurance for the over 50s. Just remember to consider all the conditions and to keep a sense of humour handy as you contemplate your own demise. It might help to have pen, paper and a calculator too.